Here is my latest purchase. I found these in a local thrift store. The brand is Anne Michelle. The heel measures 4.5". 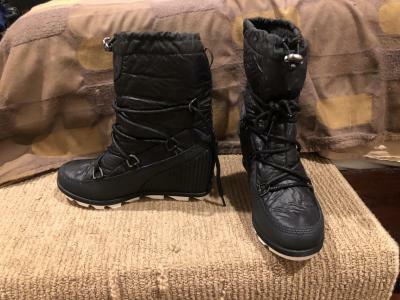 They are very comfortable to wear. And the best part is, I paid just under $20! I didn't have a complete outfit on. 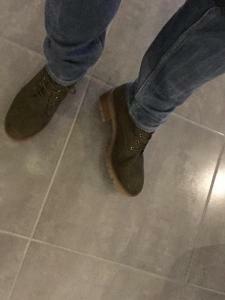 I was just taking a pic to show off the boots. I think there's a typo in this sentence. The question is, what was your true meaning? 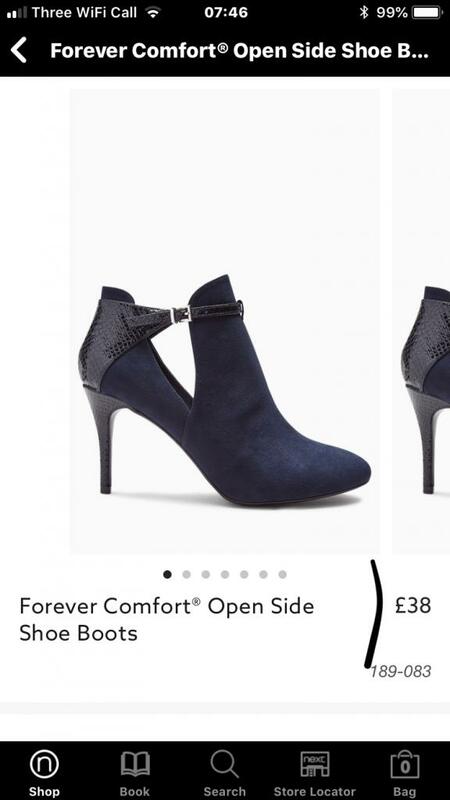 I can read this as, "Anne Michelle are comfortable, had more than a few pair, [and] they last very long if you wear them out and about." 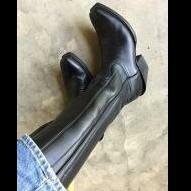 OR, it might be, "Anne Michelle are comfortable, had more than a few pair, but they [don't] last very long if you wear them out and about." I have never actually owned any Anne Michelle, though I've perused many for possible purchase, but I suspect, given the context and the price range, that you meant the latter. 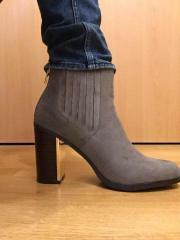 here is my new pair of boots, « only » 5cm heel height but nice for going out without attracting attention! Really nice, @Peter1 - you are right, totally invisible! 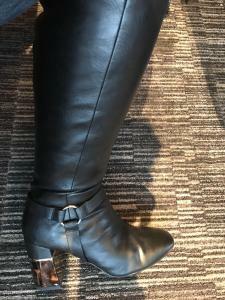 Have you gone out in them yet? No one, not even the most censorious, is going to give even a second glance at the heels of those boots. Powerful and rugged outfit Peter! That looks like a very normal and comfortable heel that are in many men’s shoe styles too. Looking good, glad you are enjoying them! I can see the appeal but I'm not too keen on them - they haven't decided if they are boots, shoes or sandals! 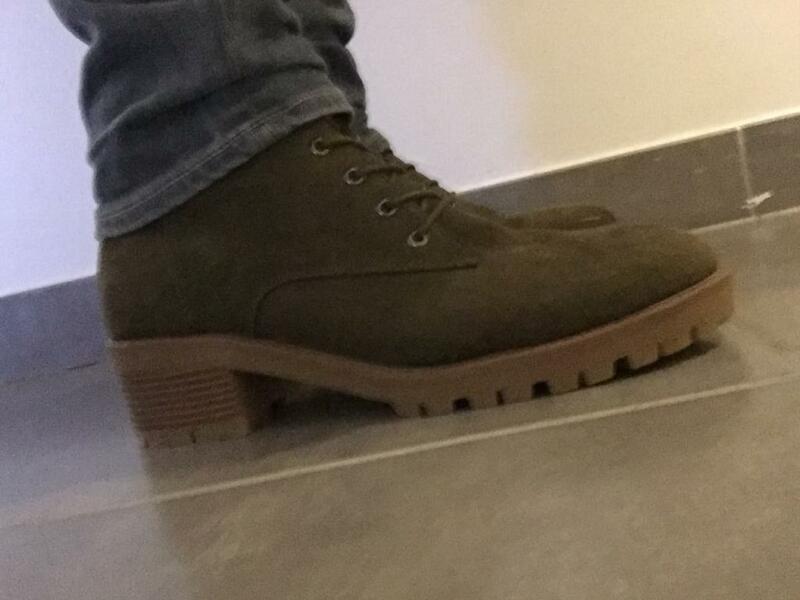 Yeah I have to agree they’re very nice looking boots indeed and love that colour, are they in stores or just online? 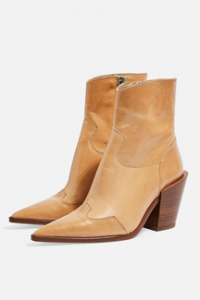 The Howdie boots are on the Topshop website but the tan, at least, was shown as sold out online in all sizes. But there is a facility to find stock of a particular size instore - if you're lucky. 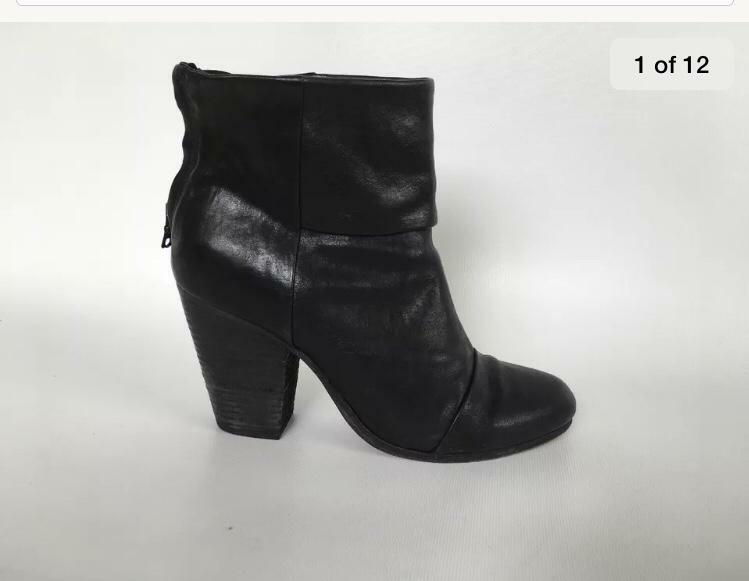 I see the heel height is quoted as 'approx 2"'. Obviously more than that - probably close to 4".